Discussion in 'Downhill & Freeride' started by ianjenn, May 17, 2013. So if you actually got it, why not post an actual pic of it? What an informative thread. Maybe I should start one when I get a new derailleur housing. Got the 40 Air today looks pretty good I need to double check the weight on a few scales! That is the picture of it I took today. Hence the watermark on it! It came in at 6.1LBS on the scale so not quite as light as some were claiming. That better? all those watermarks and huge copyright must be adding to the weight. How bout a picture of it on the scale? Yeah I will put it on the park scale tomorrow. If someone wants to use my file they can contact me the $9K Profoto Box and $6K in heads were not free. Though I wish they were I would still charge its how I make my living.... I will get non studio images that are not watermarked on the bike. wtf dude? get a real job! If you're going to go through the trouble of watermarking your image, shouldn't they be on the layer above the fork? How much more is this than the previous 40? Here is a similar stock photo sans watermark to make this thread marginally less useless. It's still pretty useless though. As long as my name is on it along with the camera EXIF it helps. Okay my personal scale was heaviest at 6.04 the lightest was 6.01 so there you have it.....keep in mind this is pre production version so it may change. keep in mind this is pre production version so it may change. 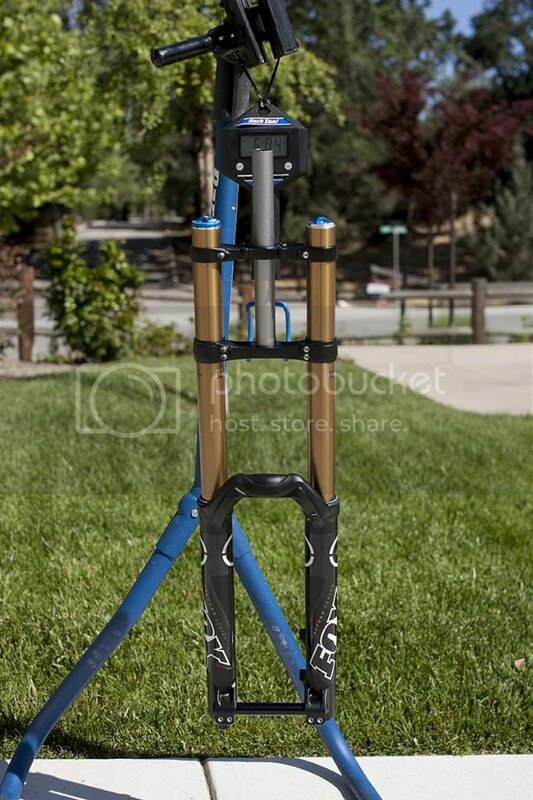 super sick fork, can't wait for mine.. is there a setup guide incl.? 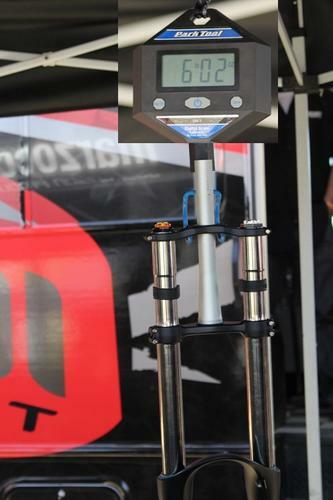 category were racing on the new 40 this weekend, kind of funny that the top elite riders still were not on them though. I guess those old racers had some pull over at Fox. Feedback was positive and they all commented on how sensitive it was to air preesure settings also the actual range "difference" from minimum to max settings was only around 50 PSI. Some comments were that it might not be well suited for very light weight riders since at the minimum air spring pressures it would be difficult to acheive the desired sag. Light riders will likely need a different negative spring. Can travel (and axle-crown height) be changed with internal spacers? What's involved: Let air out, unscrew top cap, swap spacers around, screw top cap on, pressurize? Who will want some plushness and good bottoming resistance. I suggest adding an extra face shim maybe two. This will allow you to run the lsc further open without being underdampened. The further open lsc feels great on braking bumps and small rocks but looses slight amount of pedaling efficiency. But it transitions to the shim stack much nicer. The extra face shim stiffenes up the low to medium speed stuff and allows you to back your hsc off abit so you get less ultra low speed more low speed more midspeed and the same high speed dampening and it just works great!! Now this hole air thing. It's not the same unit as the trek hybrid thing? It's full air right? No it has nothing in common with the Trek hybrid setup, yes it's 'full air' however it uses a coil negative spring (similar to previous float forks), which seems to work reasonably well. Any ride time on the new fork? Interested to hear feed back on setup and feel. No am waiting on the a MD sized frame to mount the Dorado on so it may be a bit after all before it actually gets mounted up...thought I had enough for another frame but it will be a bit longer. Mine arrives June 10th. Stoked. "The most common damping setup error in DH is that riders use excessive low-speed rebound damping to keep the bike from bouncing their landings. Mark Fitzsimmons says to back the rebound dial off to smooth normal chatter and terrain, and then to increase high-speed compression damping to correct the bounce. 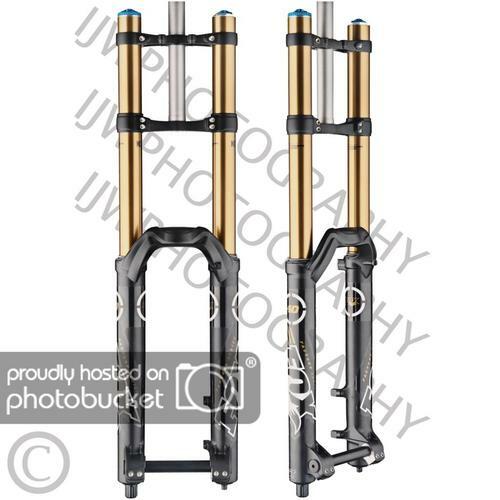 Does the fork have independant high speed and low speed rebound settings? I thought that was just the shock?? 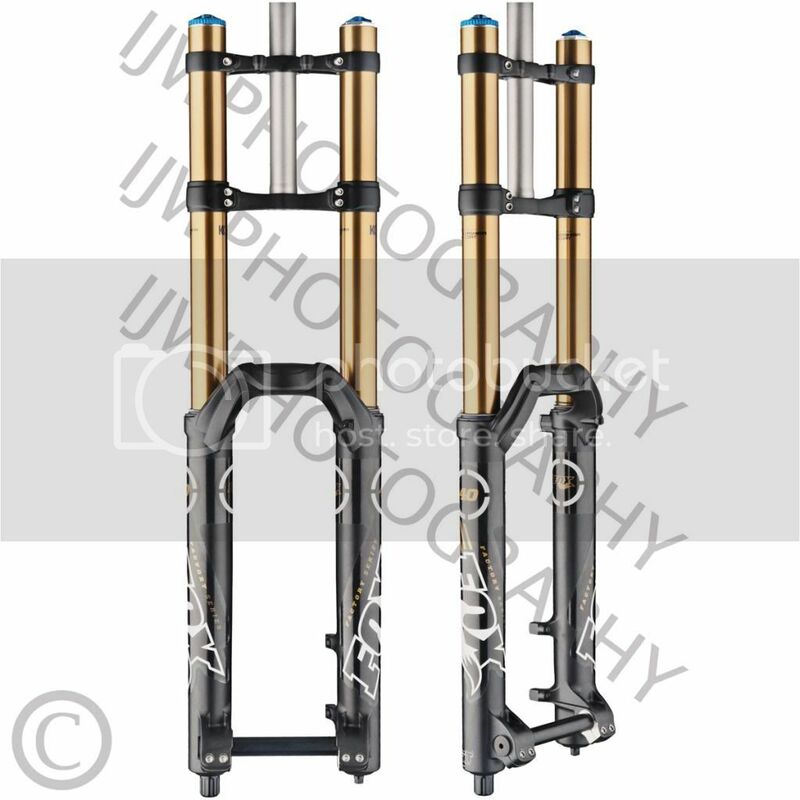 Fox always has only had external low speed rebound damping on the forks and the shocks. Correct it has HS/LS Compression on the Right fork leg up top, AIR pressure on Left top and Rebound down below. Mine is on the way and I should have it by mid next week. I'll share any setup info I can. I love slow rebound. Not that I'm fast or anything but it smooths out everything real nice. If it's true that the pros run high springrates in their forks it's understandeable that they have to compensate wiht more rebound. Me too, especially on the shock. on my old DHX 5.0 I was running a 500lbs spring with -6 clicks (Session88). On my new BOS I am running -7 or -8 (Tues2.0 with 275 lbs). The front has always to be faster though. I'd say is the other way round. Faster riders tend to have lots of compression damping and less low speed rebound damping. They are hitting stuff faster so forces are greater (hence more compression damping required) and they skip features more hence the faster rebound to acquire traction sooner. Of course it is very important to have a perfect balance of damping between the LSR and HSR circuits (by perfect balance I mean proper valving according to spring rate and transition from LSR to HSR). Nothing worse than having a rebound damper that has a very early transition from HSR to LSR. The rebound clickers is a lsr adjuster it just moves a needle which allows oil to bypass the rebound shim stack which in the fit 40s case is two 12mm x (0.01" I think its 0.01" anyway). the bleed is just a delay untill a velocity is reached where the shims will deflect. It's the same as your lsc adjuster in function. I find faster rebound more plush allows for a higher dynamic ride height so the proper part of the stroke is being used. Its just gets back to the ground faster and reaches for the ground behind bumps and rocks. But it seems slightly slower than the most comfterable rebound settings holds lines better in corners.. This is fork only talk BTW. use the entire range. The useful range for a given person is only about 3 clicks. In my understanding this explains it perfectly. If I get a few fork I go from open to slow over the same trail till I find the sweet spot. From there I only can use about 3-4 clicks before it feels worse. I am a bit on the upper side of the spectrum i guess, about 90kg with gear and liking a relatively stiff setup with 20% or less SAG in the front and 30% in the rear. That explains the high amount of rebound damping I need. Still testing if I can get away with a faster setup.